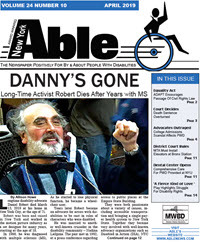 Longtime disability advocate Daniel Robert died March 13, 2019 at his home in New York City, at the age of 71. Robert was born and raised in New York and worked in the motion picture industry as a set designer for many years, starting at the age of 18. In 1988, he was diagnosed with multiple sclerosis (MS), As he started to lose physical function, he became a wheelchair user. Years later Robert became an advocate for actors with disabilities to be cast in roles of characters who were disabled. 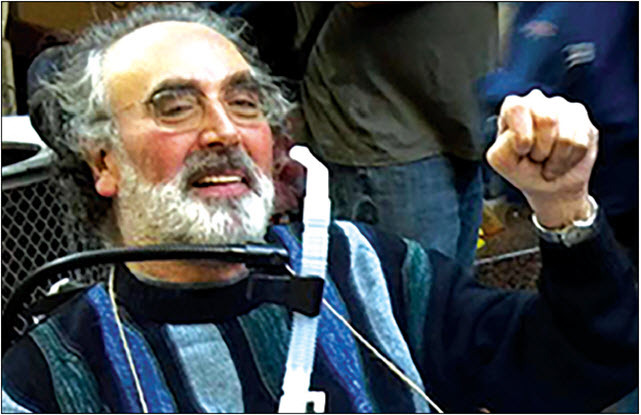 He was married to another well-known crusader in the disability community – Nadina LaSpina. 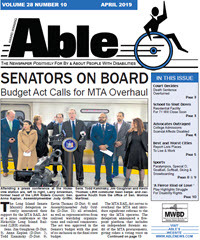 The pair met in 1992, at a press conference regarding access to public places at the Empire State Building.